I don't write a journal myself but it seems to me that this would be a great idea for those who do. Another gem, Ray. 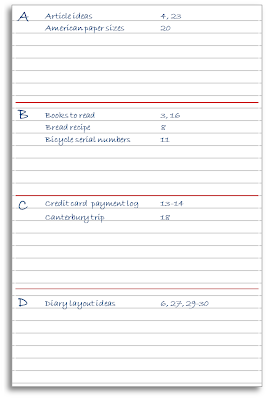 If you have a-z filofax inserts you don't need you could use those to write on. Would give you two pages per letter, and you could even code your notebooks so it was MTN1 6-9 etc. 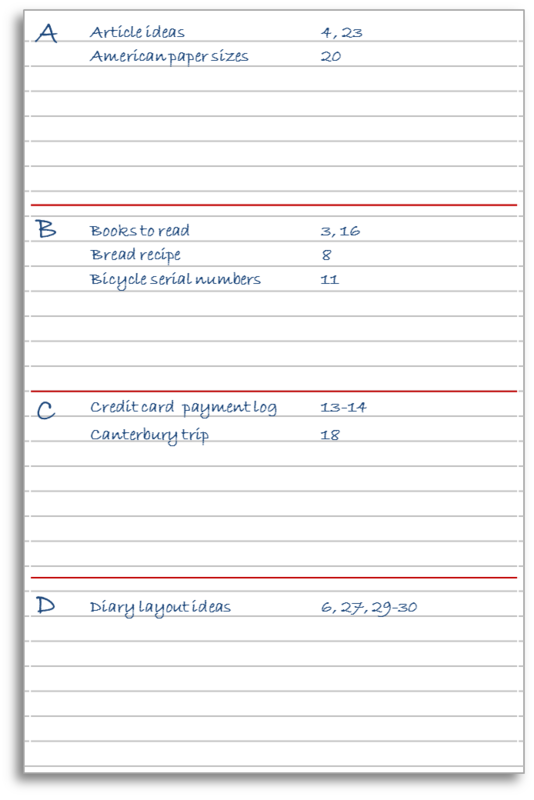 Or even split an A5 set into columns to cross reference different notebooks, or an entire year of books. Normally, I just reserve the first 2 pages for my index and then write down what project I'm working on and where it starts. Most of my notebooks are used to brainstorm and outline either novels or short stories. Sometimes I put in small index tabs on the top of my composition notebook to help me find things better.